I have different packages to fit all different budgets. Prices subject to change, and do not include tax. 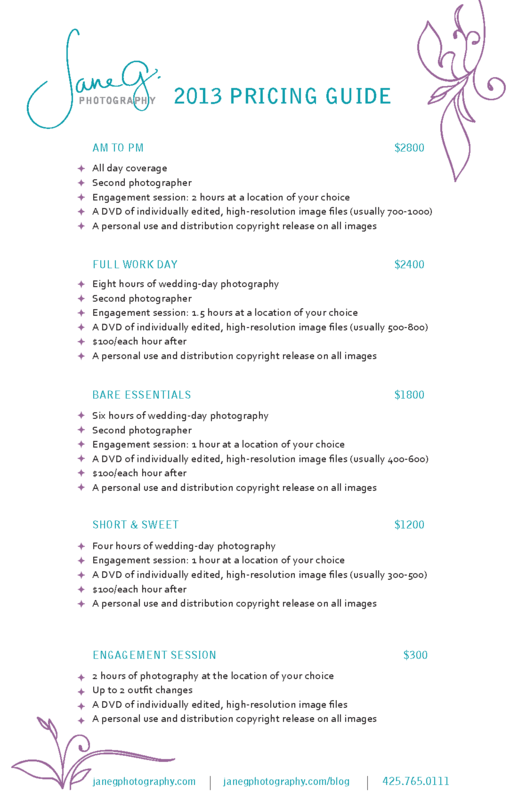 To reserve your wedding date, a signed contract and a retainer in the amount of 50% is required. Your date cannot be reserved without a signed contract and retainer. All prices are subject to 10% WA state tax. Travel fees, if applicable, are due at the time of booking. Hi I’m interested in a picture session for either just our kids (13,12,8) or my husband and I included. Looking forward to hearing from you. What kind of camera do you use? Amazing work!